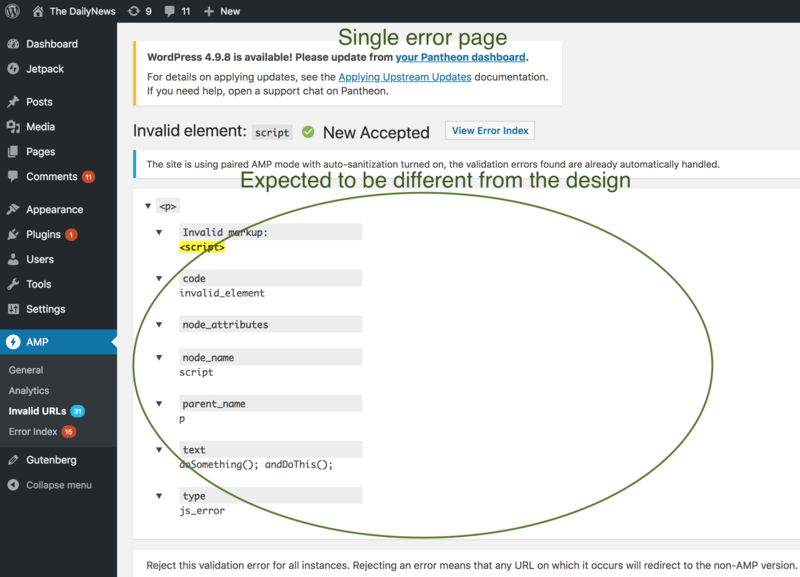 As a developer using the AMP for WordPress plugin, I should have a way to isolate one error's occurrences across multiple URLs on a site and be able to quickly action to suppress or acknowledge it in a listing page. AC1: Continuing to use the table listing view, incorporate the new design linked below. Remove the "Removed Elements" and "Removed Attributes" and replace it with a "Removed" column that also includes occurrences where any other items that are sanitized (e.g. CSS) would be removed as well. Update the "Sources" design to incorporate better organization of information. Rename the "Date" column to "Last Checked." AC2: Surface the error's information so that I can understand the relevance of this drilldown. Reveal the error name, its actioned status, as well as a reported blob of that error so I can understand what this page means. In that same area, I should have a clear place that links me to official documentation that a) explains the error and b) how to best fix it based on my use case (e.g. what to do when I have excessive CSS, a JS-driven script for a menu, etc.) so I, as a developer, have confidence to action quickly here. AC3: In the same area where errors are detailed, give me a clear place to action - tell me what I can do (accept/reject) with this error. Based on the "drilldown" screen from here here. 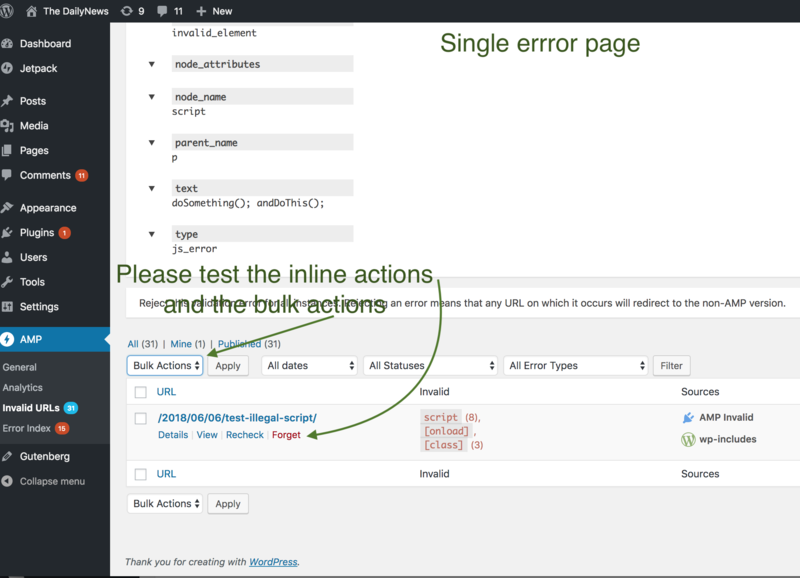 Explain what errors happen, when and why so that developers can confidently understand how to action on a given error. I'm working on this now, on this branch. Wow, sorry. This issue is yours. I'm actually working on #1365. Hi @kienstra and @jacobschweitzer - Mocks have been updated here. The "Learn More" button in the design was not included since there isn't a clear definition of how this will work yet. This is being worked on in #1420 . Could you please test this single error page against this issue's ACs and the design?